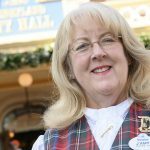 Disneyland Resort cast members take pride in giving back to the community in which they live and work. 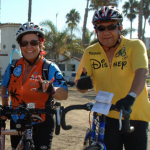 Last year, cast member giving within the city of Anaheim totaled more than $200,000 in donations and services. 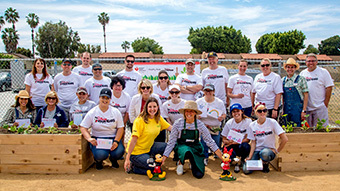 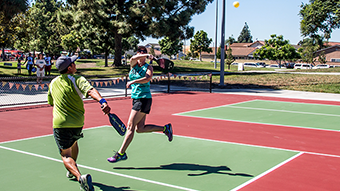 The Walt Disney Company, including Disneyland Resort, supports KaBOOM!’s mission of helping all children get the play that they need. 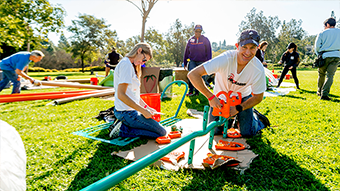 Since 2007, Disney has pledged more than $12 million to help build more than 100 playgrounds and Imagination Playground™ sets. 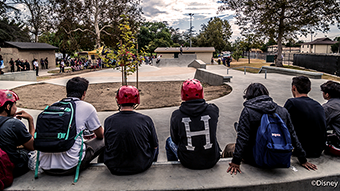 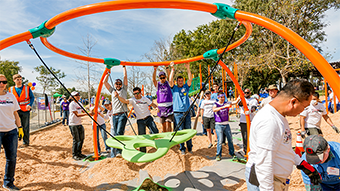 The playground builds are an extension of The Walt Disney Company Healthy Living Commitment to creating healthier generations, by bringing the gift of active play to kids and families who need it most. 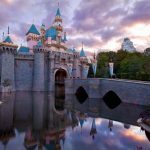 In the last five years, the Disneyland Resort has donated $1.5 million to Anaheim parks as part of an ongoing commitment to provide places where families can have fun together. 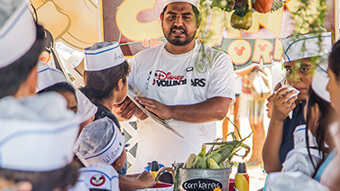 For the second year in a row, the Disneyland Resort hosted free movie nights to celebrate summer at six different Anaheim parks. 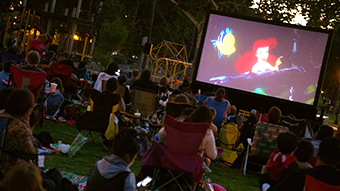 More than 4,000 residents in total attended this year’s movie nights, which included free popcorn, beverages and other giveaways, and a variety of different activities, including trivia with the Disney Ambassadors, hula hoop and jump rope contests.